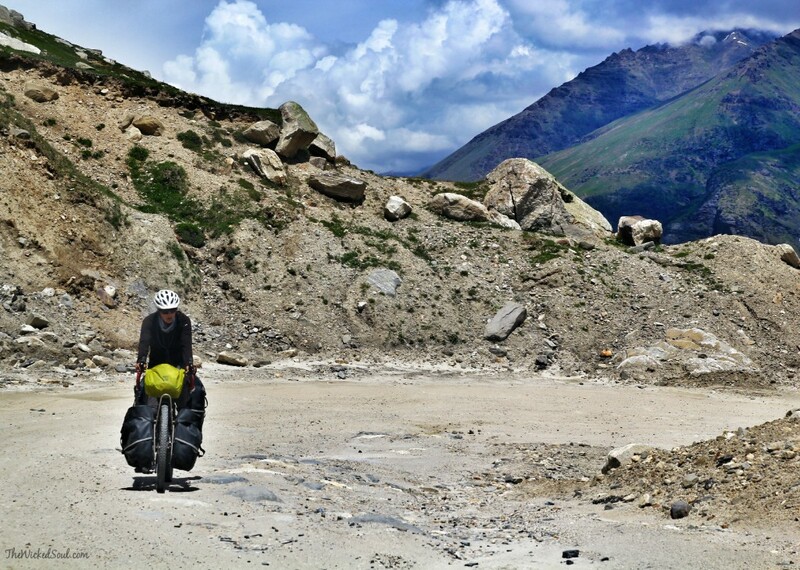 It’s that time of the year when the love for mountains is the strongest. The customary “Mountains are calling” profile updates create an online flood. 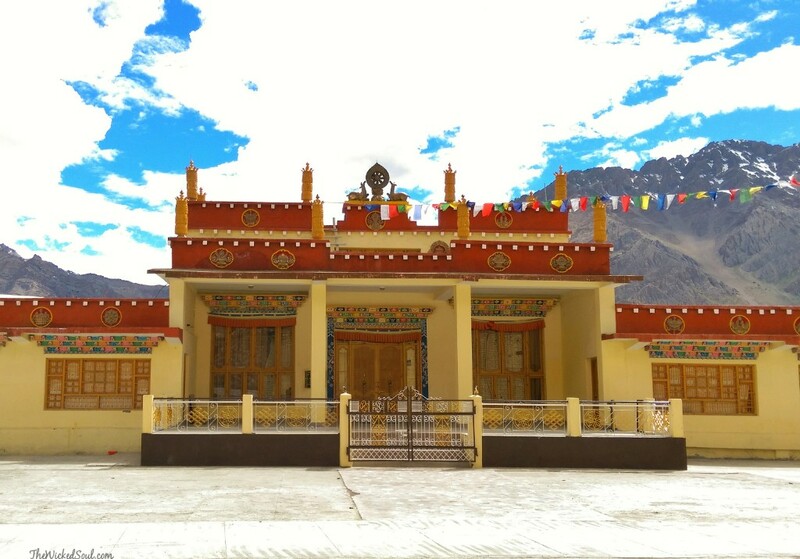 The Google routes to Leh-Ladakh become synonymous with the colour red. I was one of the souls from this crowd who would dream of wandering in the mountains. 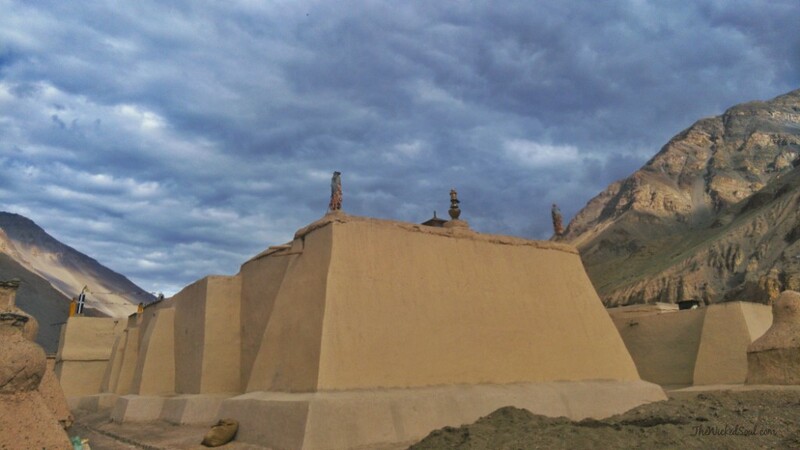 Ladakh was sketched on my travel list from the time it was showcased in the movie “3 Idiots”. Years ago, I had drawn a favourable travel plans and my shopping routines for the expected trip were ongoing. 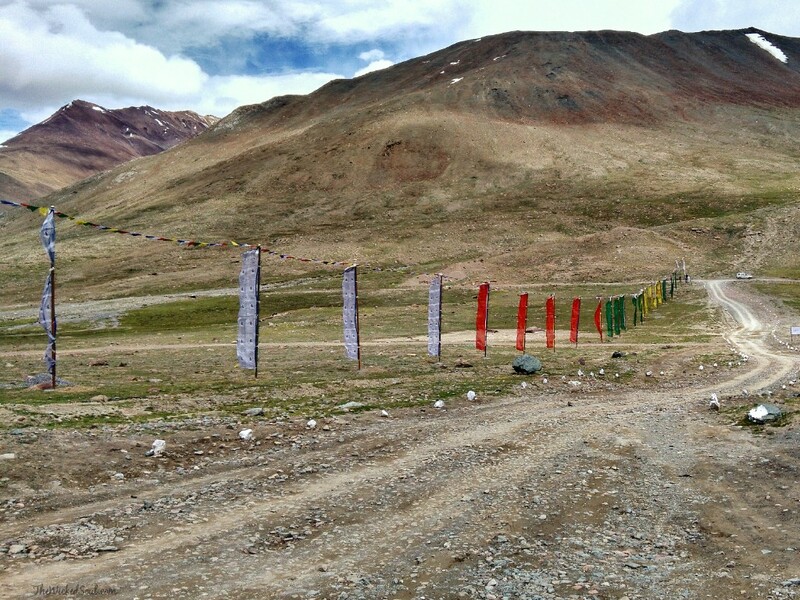 Amidst all the preparations, there was one friend who suggested Spiti instead of Ladakh. 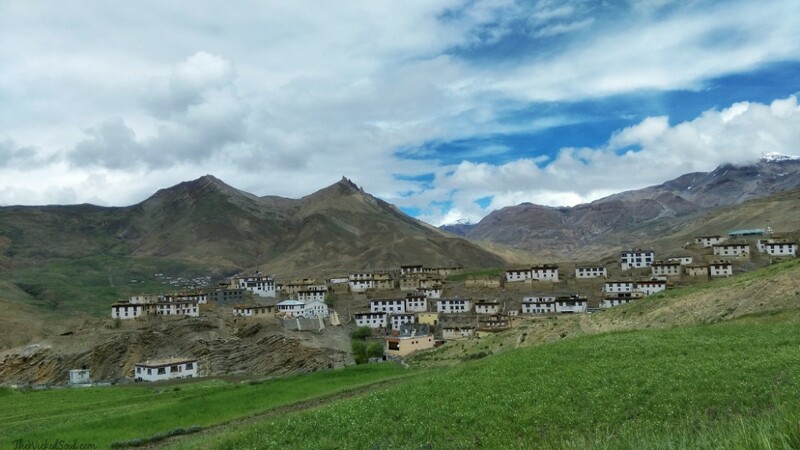 Spiti Valley was not heard of but beautiful pictures of this lesser-explored region on Google convinced me to alter my travel plans. 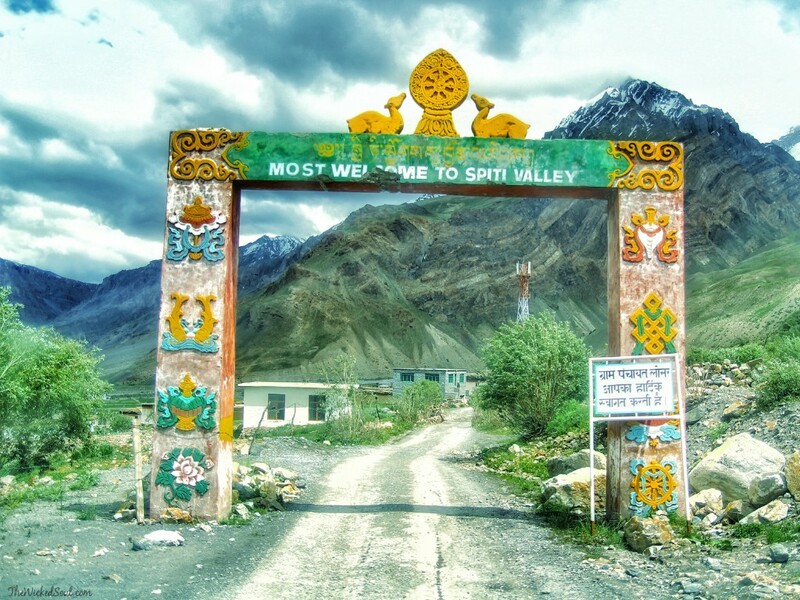 Spiti Valley is theoretically known as “middle land” since it falls between Tibet and India. 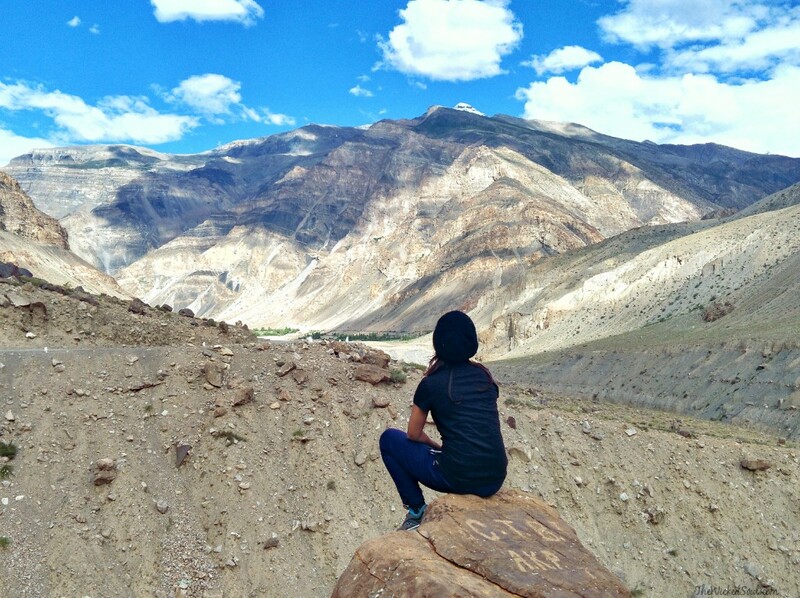 It is a cold desert mountain valley amidst the mighty Himalayas in the northern state of India – Himachal Pradesh. 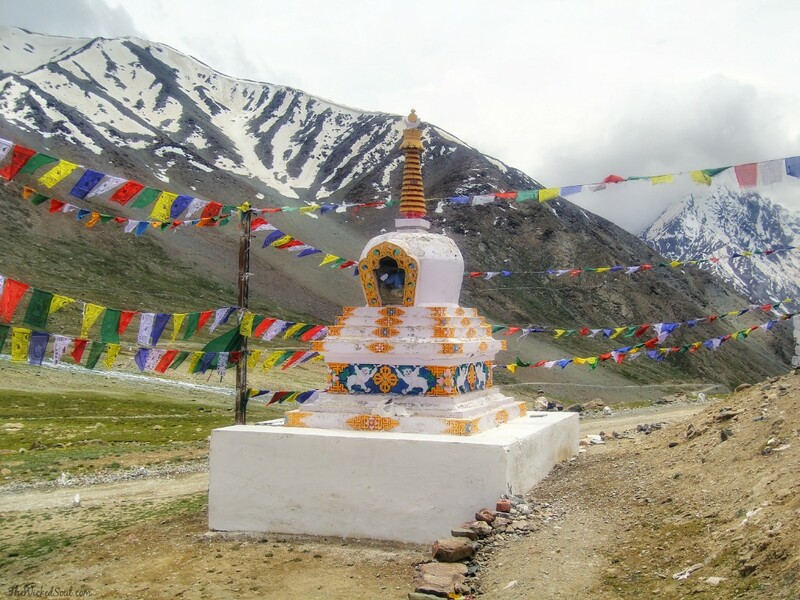 It is also the least populated region of India and can be reached either via Manali or the Shimla- Kinnaur route. 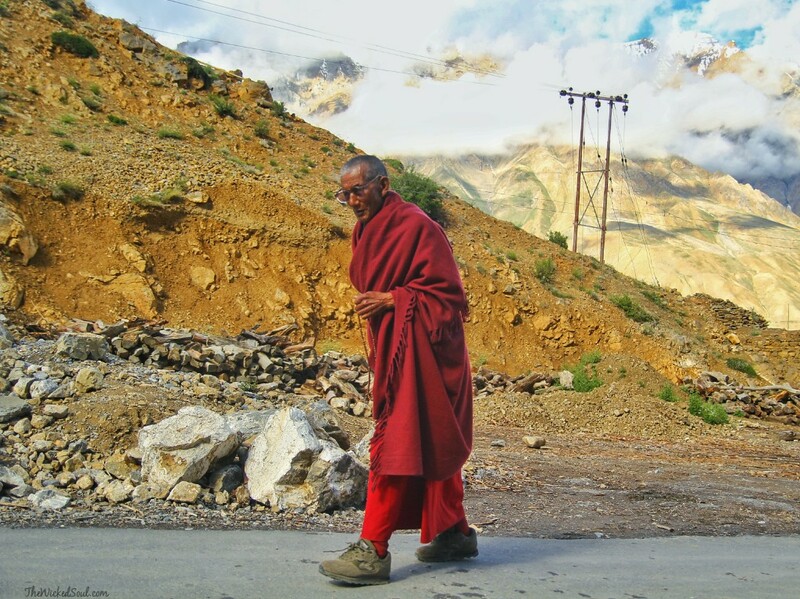 We hired a Sumo taxi to journey through the winding Manali roads. The views from along the way were simply breathtaking. Even a mechanical breakdown could not drown our spirits. The clouds could pass for cotton candy, floating just a few feet off the ground. Dense fog engulfed large sections of the road until we made our way past Rohtang. 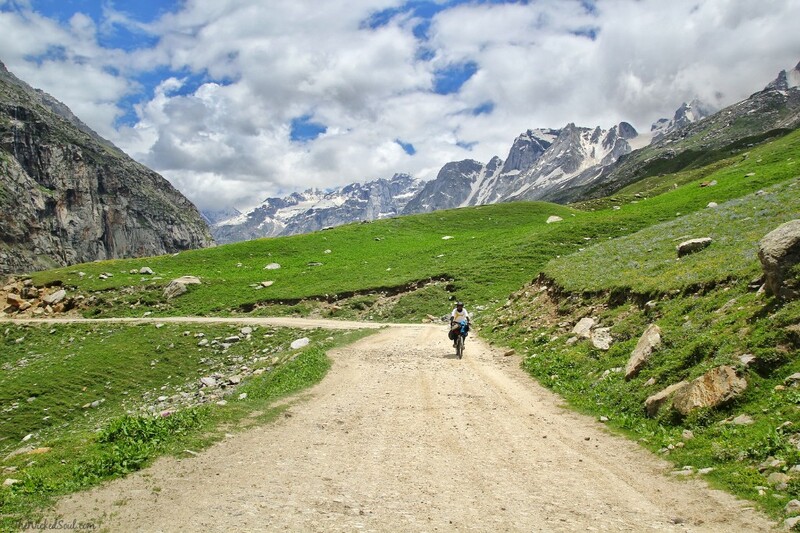 Once we had negotiated the snow clad slopes of Rohtang Pass, there was not a single soul for miles along the rocky terrain. 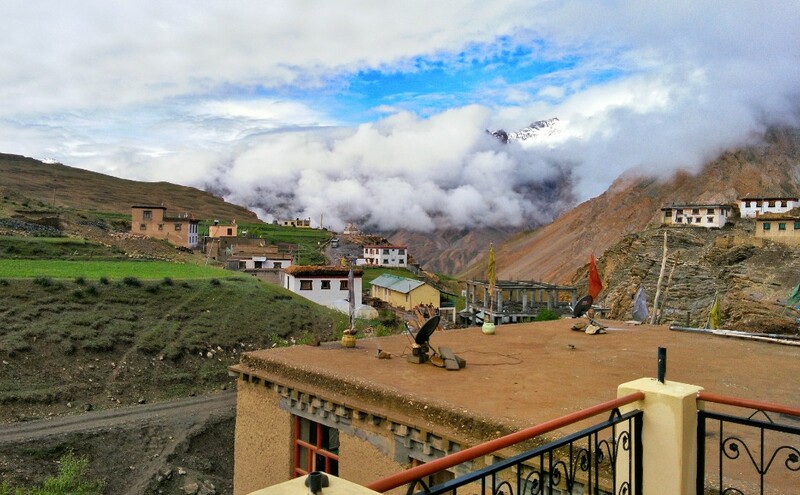 Barren land covers the valley as far as the eyes can see and the mountains change its hues under the cloud covers. The cool wind whips a pleasant crack and the gold rays of the sun sparkle on the vast mountain range. 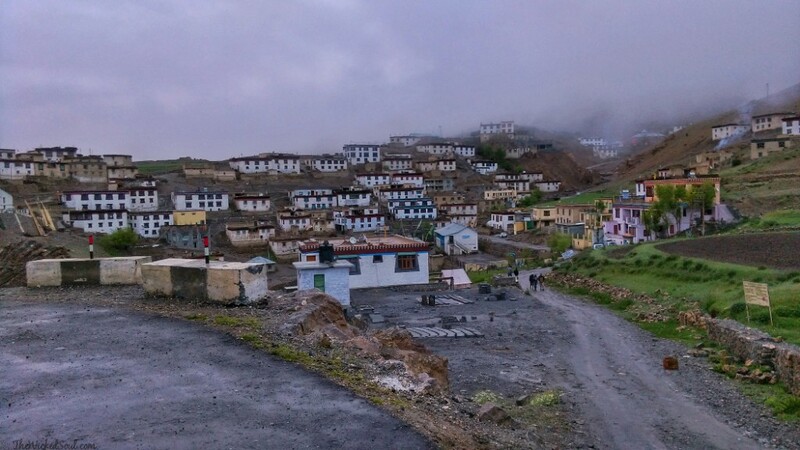 All I can say is “Welcome to Spiti”. 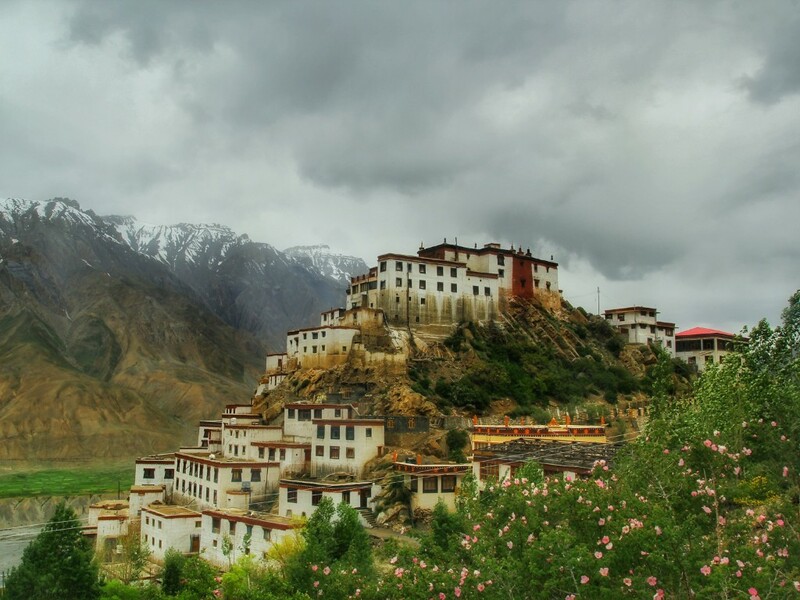 I wish I could draw a more beautiful picture of Spiti in your mind as the one that lies in memory. But, sometimes words are not enough. 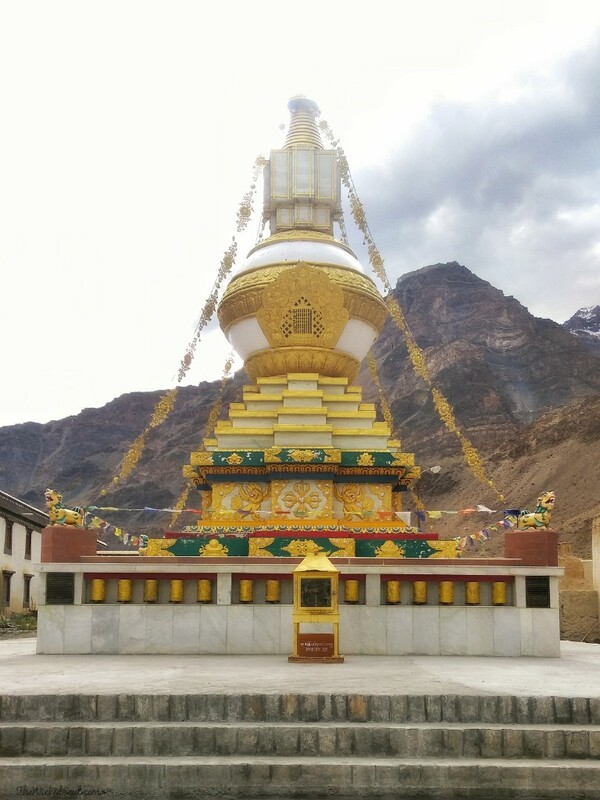 So, I am sharing a snippet of my Spiti diaries from my trip back in 2015 to help you decide if you should visit this non commercialized piece of heaven. The cover picture is so difficult to pick. 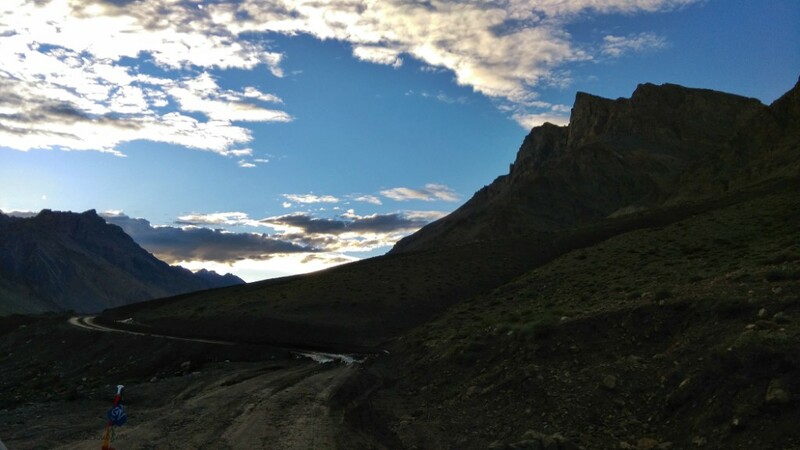 Should I share the rugged mountain terrains or the clouds within an arm’s reach? 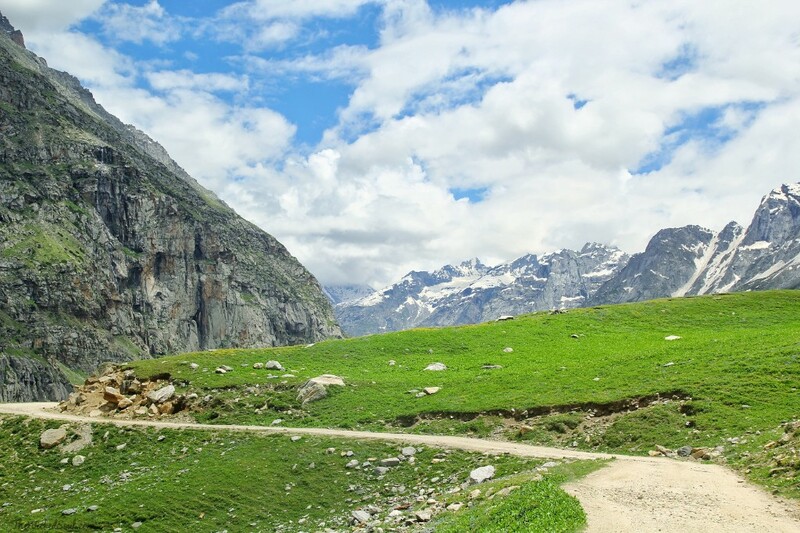 Should it be the rhythmic prayer bells with a background score or remote villages in the highest peaks? Or should it begin with the most welcoming locals extending their warm hospitality or kids with cherry red cheeks blushing while smiling at strangers in their humble village. 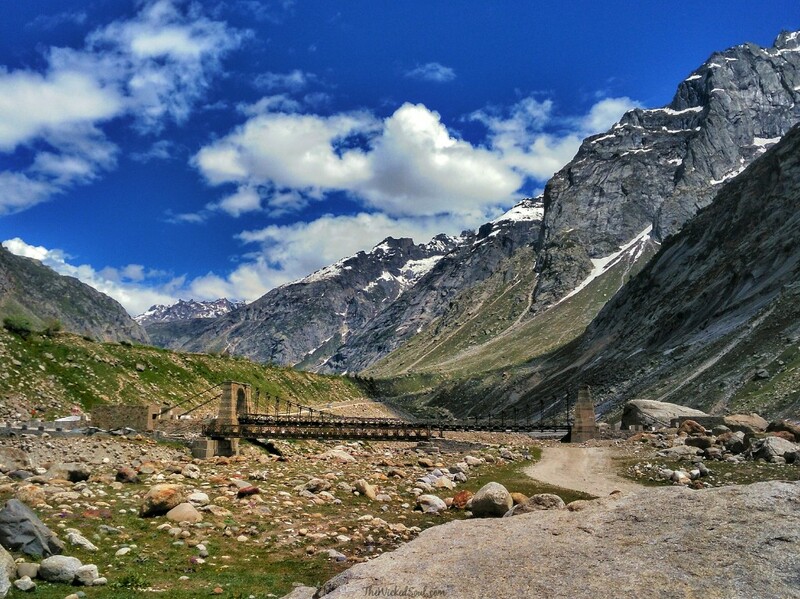 Kunzum Pass – The gateway to Lahaul and Spiti Valley. 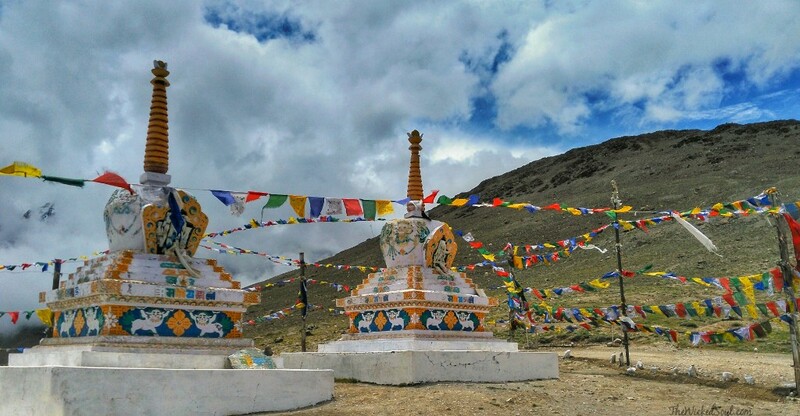 One of the highest motorable mountain passes in India. 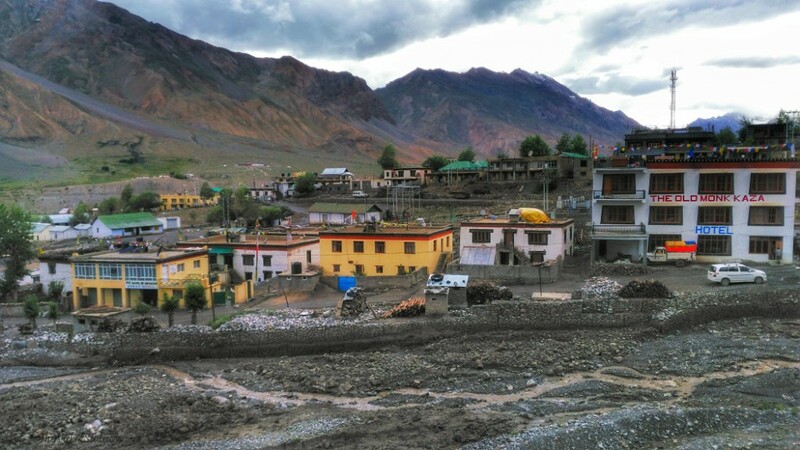 We boarded the evening bus from Kaza to Kibber to arrive at a rain soaked village! Rosy Cheeks- Dimple Chin! 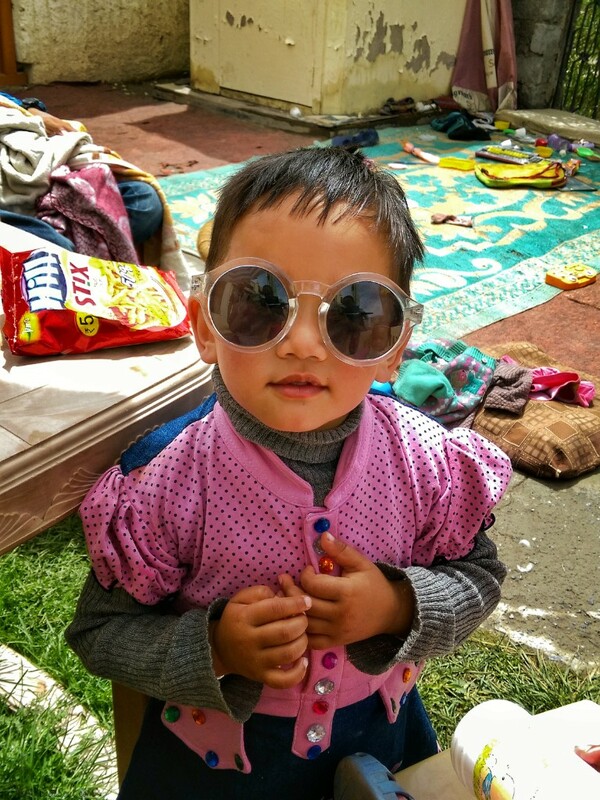 This cutie is the little owner of this homestay. 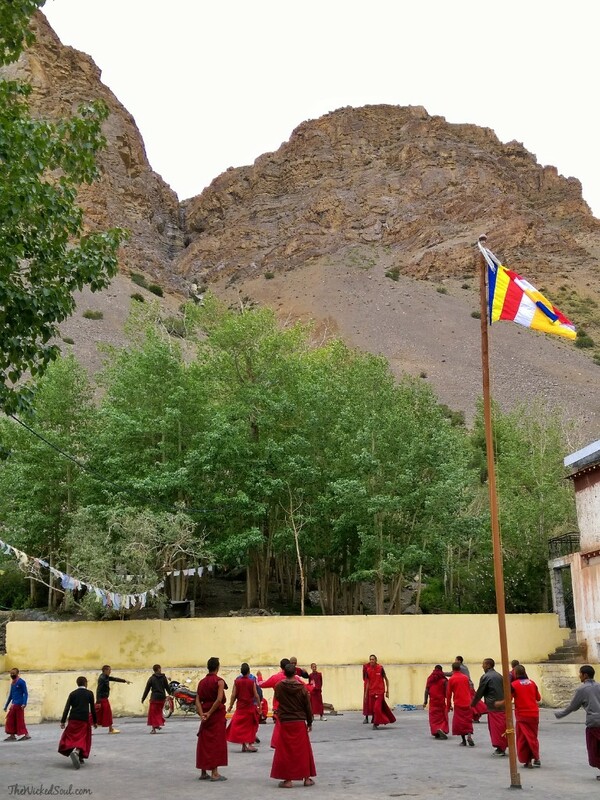 Next destination was Key Monastery! After trekking for hours on an unknown trail from Kibber we arrived to this magnificent view. 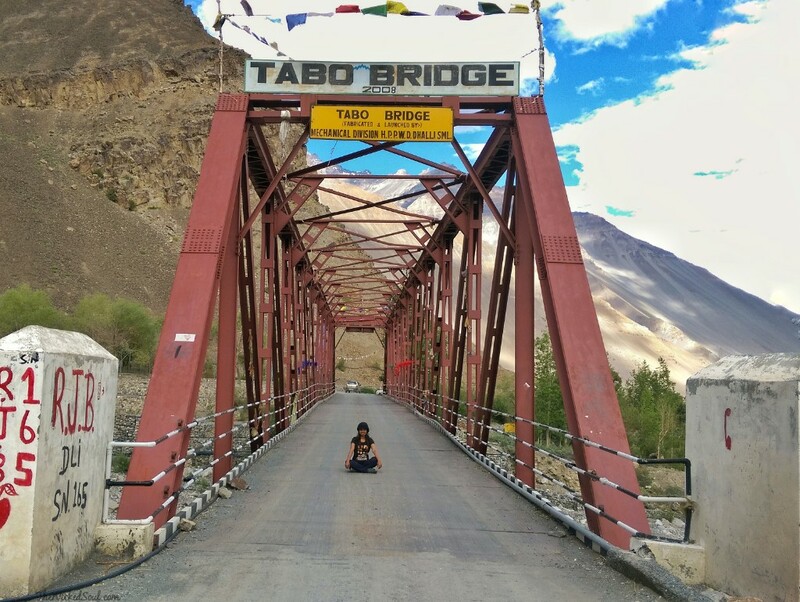 The next day we returned back to Kaza to further explore Spiti! 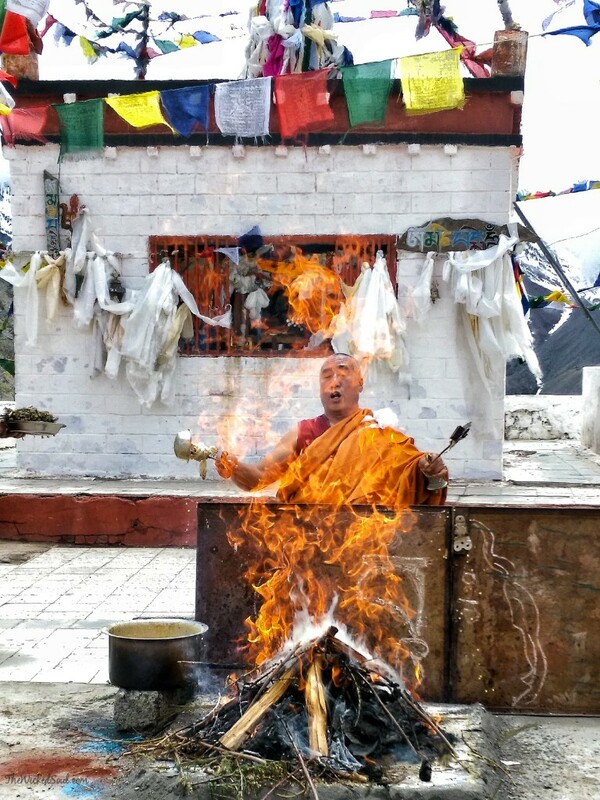 There are no direct buses from Kibber / Key to any other spots except Kaza. Colors of prayers and peace! 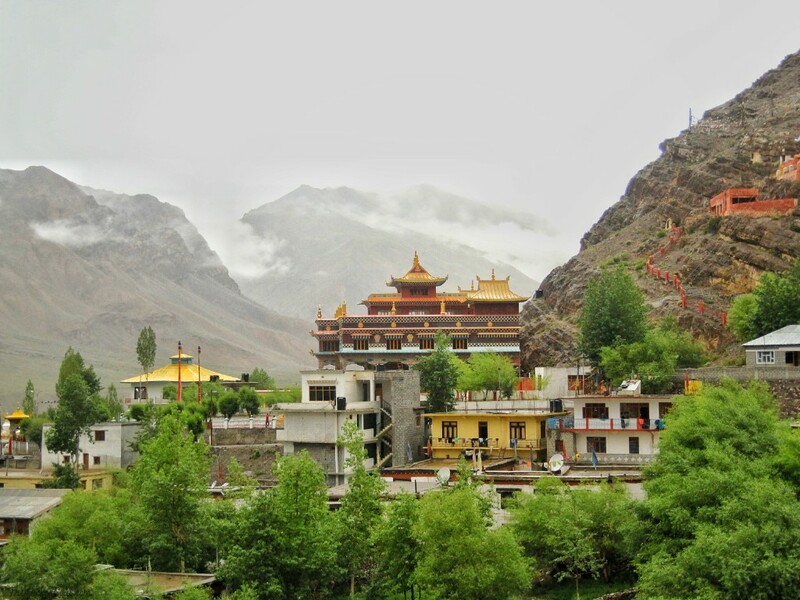 Hope you liked my little Photo Diary paying tribute to Spiti Valley, the land of happiness and heaven in Himachal. 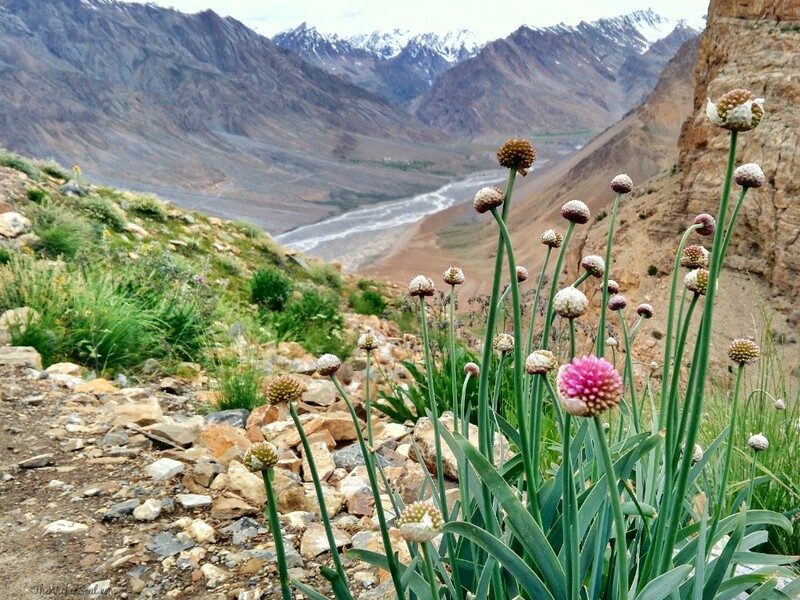 P.s all the above pictures were clicked by a modest HTC Desire Eye which simply proves that you don’t need to lug yourself with a heavy DSLR to capture true beauty. Beauty lies in the lens of beholder 🙂 Over to you which Camera / Phone do you use to capture while travelling? Wow. Thanks for photos and 3 D write up .